''Beauty comes in all sizes.'' Everyone is beautiful in their own shapes and sizes. When it comes to looking fashionable and good, body size is not the one that matters, it's the fit of the clothes. Generally, looking fashionable does not mean following the latest trend, but is wearing the right clothes according to the body size. Many women wear clothes which makes their eye pleasant than focusing on body sizes. 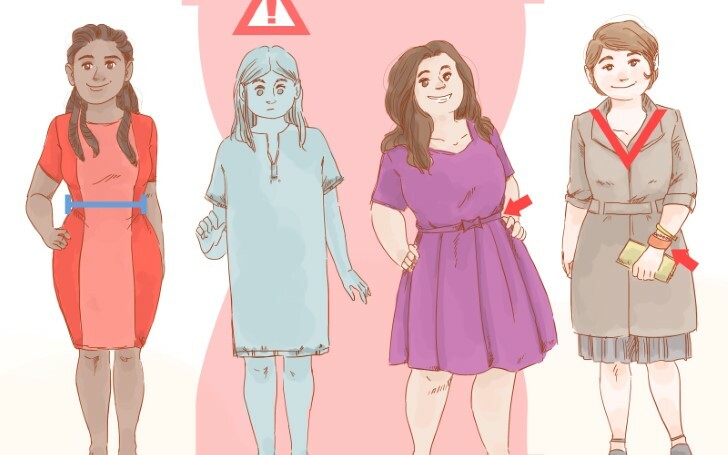 Understanding the types of clothes by knowing your body size will enhance the feature of your body. Today, in the era of fashion we can find numbers of trendy and fashionable clothes that will magnify your body. Inverted Triangle is the first body type which comes on out the list. The person with such body size has broad shoulder and tiny waist. Yesterday at the Hollywood Beauty Awards. So honored to receive the Brand of the Year award for @meaningfulbeauty! Woman with such size is unique as only 5% of women fall on this category, as a matter of fact, there are many Hollywood celebrities with such size which includes: Cindy Crawford, Renee Zellweger, and Jessica Simpson among others. The women with such body shape should draw more attention to the small waist rather than their shoulders. You can wear well-fitted blouses and jackets in dark color which will draw away the attention from your shoulder. You can also wear a cowl neck, square neck, or V-neck stretchy material shirts and T-shirts. Similarly, for your legs, high waisted pants would be a cherry on top. 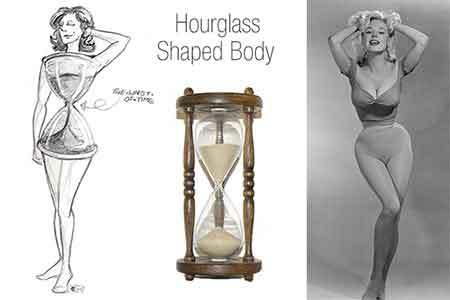 Hour Glass is similar to the sand timer. The body with such shape has a smaller waist and almost completely symmetrical hips and shoulders are the hourglass body type. Many of us think that the hourglass body shape is an ideal one but the dressing could be tricky. One of the perfect examples of such body time is the reality star, Kim Kardashian. For such body size, one should give more priority to their waist in order to draw main attraction on their curvy body. Warp dresses, pencil skirt, bodycon dresses are the clothes which will enhance your curves. The woman with the body size should stay far from the baggy clothes instead should enhance their waist with a belt. 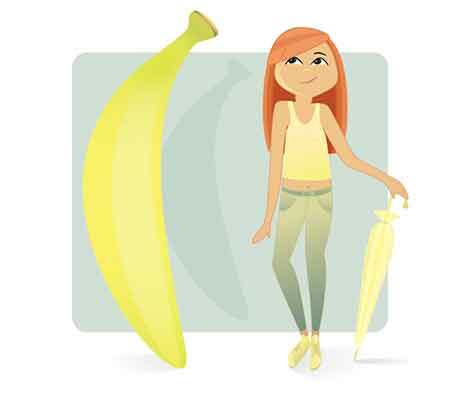 It might sound funny but yes, some woman has a banana-shaped body type. The body size has the same width as the hips, shoulders, and waist. After the premiere of #PEPPERMINTmovie last night, I can officially say— this is one to watch with a crowd. Thanks to everyone who came out to cheer on #RileyNorth— just watching her made me sore! #icantbelieveididit # #intheatersonseptember7th! The celebrities with such body type are Jennifer Garner and Anne Hathaway. The best way to dress for such body size is wearing the clothes that create an illusion of a defined waist. You should never tuck your shirt instead should wear the shirts that hang down low and end at the mid-section. Likewise, blouses and dresses with empire waist will enhance your body. The next body type named after a fruit is a Pear shape. This shape is more common size around the world. The woman with the body size has more narrow shoulders than the hips. Some of the celebrities with such body type are Beyonce and Jennifer Lopez. The pear shape woman wear the clothes which will make your shoulders look wider. When it comes to your legs and waist, you should wear pants which will give a slimming appearance. Bare-shoulders and one-shoulder tops and blouses are the perfect dressing style for the body type. Moreover, layering jackets and tops are also the key way to dress. You should mostly focus on their upper body and camouflage the lower body. Rectangle itself says that the person with less curvy body is of the body size. 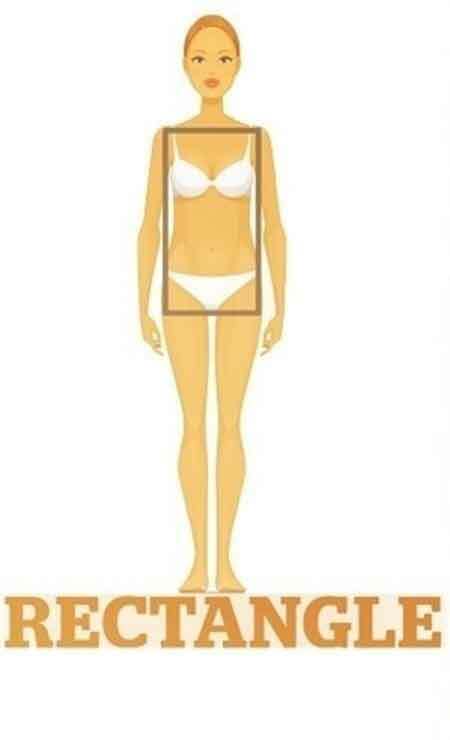 If your weight is equally distributed and your shoulders and hips have the same width then you are of rectangle body type. Cameron Diaz and Natalie Portman are the ones with such body type. Giving first priority to your waistline is the key to dress. You can create curves by wearing a belt in order to make a defined waistline. Showing off your legs with slits pencil skirts and scoop neck or sweetheart neckline is best for such body type. 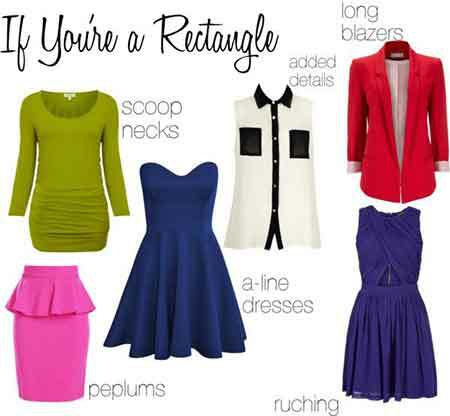 Another benefit for rectangle shape is that they can wear colorful on bottoms. So, don't hesitate to wear embellished, colorful, and dazzling shorts or pants.